Nanoloop two is a sequencer / synthesizer cart for Game Boy Advance (GBA, GBA SP, DS and DS lite). 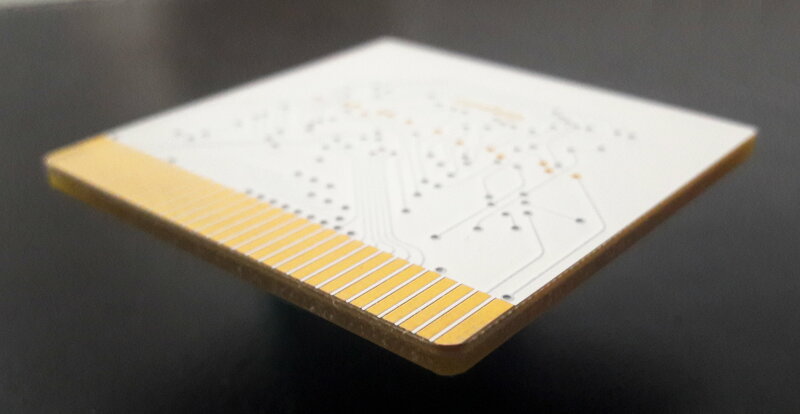 Instead of the typical PCB in a plastic shell, nanoloop two is a single PCB with all electronic parts embedded. Parts inside are surrounded by the PCB, so that only the golden pins are visible and the cart appears as one flat, solid piece. Despite its thickness of only 2 mm, the cart is extremely robust, thanks to the epoxy / glass fiber fabric composite PCB material. The cart sticks out by 1.4 cm. It is held firmly but is narrower than the slot and needs to be inserted in the center carefully. Nanoloop two saves data in flash memory, there is no battery. It works on all GBA-compatible Game Boy models (GBA, GBA SP, GB micro, DS, DS lite). 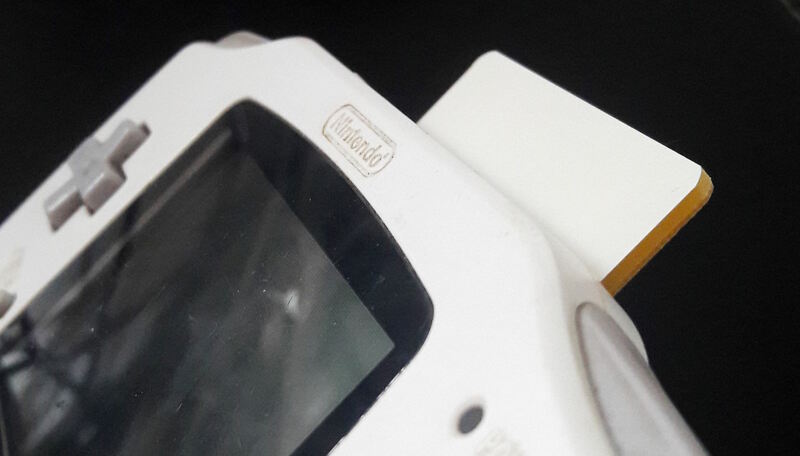 Nanoloop does not work on GBA clones such as Revo K101. A USB-MIDI adaptor for data backup, software updates and PC-MIDI-sync is available. The adaptor is not required though, nanoloop 2 is designed for standalone use. Nanoloop 2.7.6+ can receive analog clock and send MIDI clock via link port without additional electronics. See sync options for wiring details.